Last week in my Ingredient Watch List, I shared information about parabens, a synthetic preservative in food and personal products. This week, I'm going to talk about Triclosan, a chemical that is designed to make the products you use safer, but in reality, can put you in harm's way. 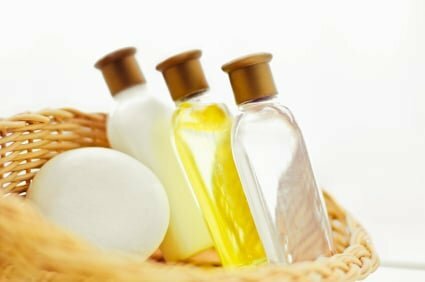 Triclosan is a chemical that is added to consumer products like soap, detergent, pesticides, pillows, mattresses, acne treatments, and even clothes due to the antibacterial and antifungal properties. A United States Food and Drug Administration advisory panel showed that washing hands with “antibacterial” soaps that contained triclosan gave no additional germ fighting or illness prevention benefits over regular soaps. While I'm no fan of germs or illness, the use of triclosan to combat these really concerns me. Studies have shown that triclosan can disrupt both the fragile endocrine system, as well as our thyroid hormones. Like parabens, it can mimic estrogen and increase growth of breast cancer cells. Even though it is designed to help keep us healthy, triclosan can actually help in the development of antibiotic-resistant bacteria, potentially making us sicker in the long run. There are a lot of things we can do to raise awareness and put an end to the use of triclosan. First, insist on using products that are triclosan-free. I suggest carefully reading the labels of the products you use — be sure to pay special attention to products labeled “antibacterial,” like cleaning supplies, as these are most likely to contain triclosan. Other products to pay close attention to are lotions, deodorants, toothpaste, and soaps or cleansers. Additionally, consider contacting your political representatives and ask them to demand further investigation into the use of triclosan nationwide. As always, I'm committed to your overall health and wellness. You can rest assured that my Annmarie Skin Care products are free from triclosan, as well as other chemicals and additives.